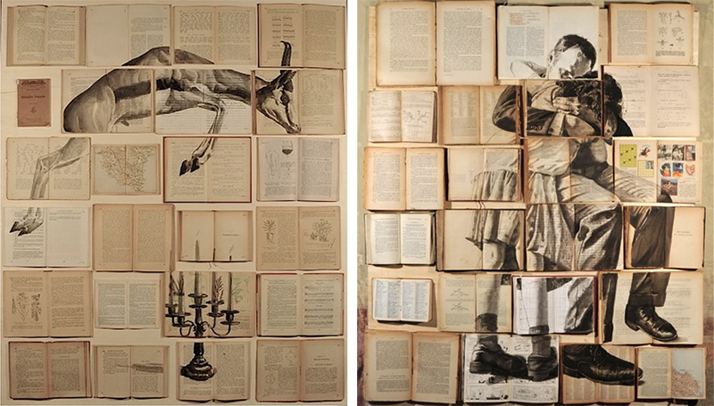 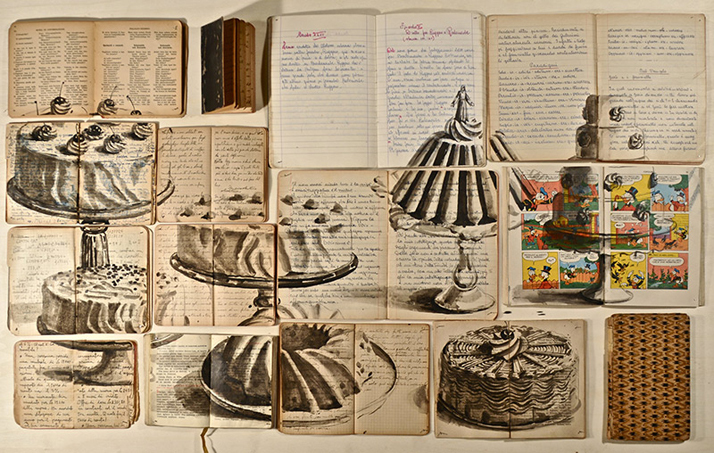 Russian-born artist Ekaterina Panikanova and her mixed-media watercolors on old books. 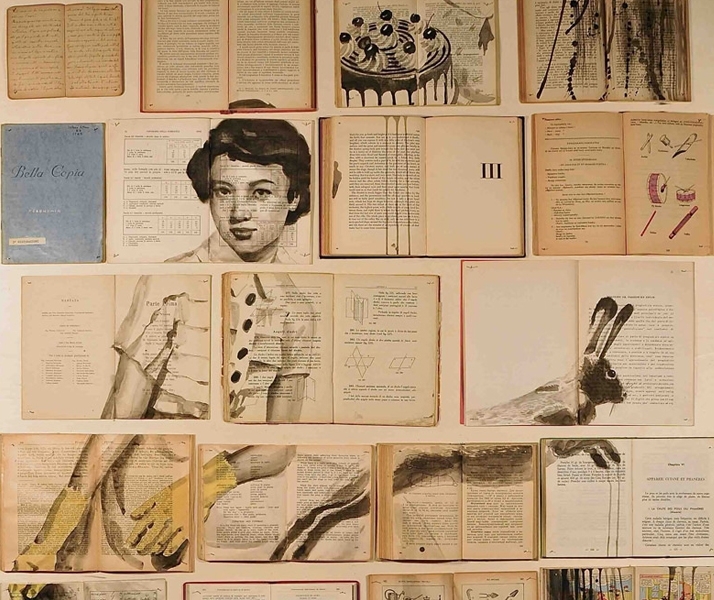 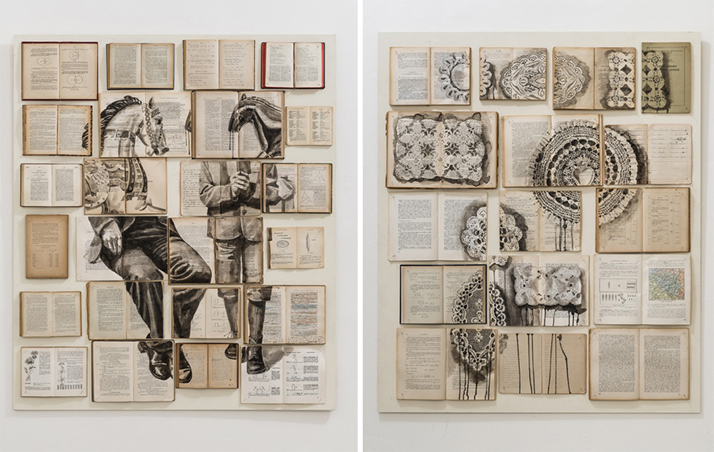 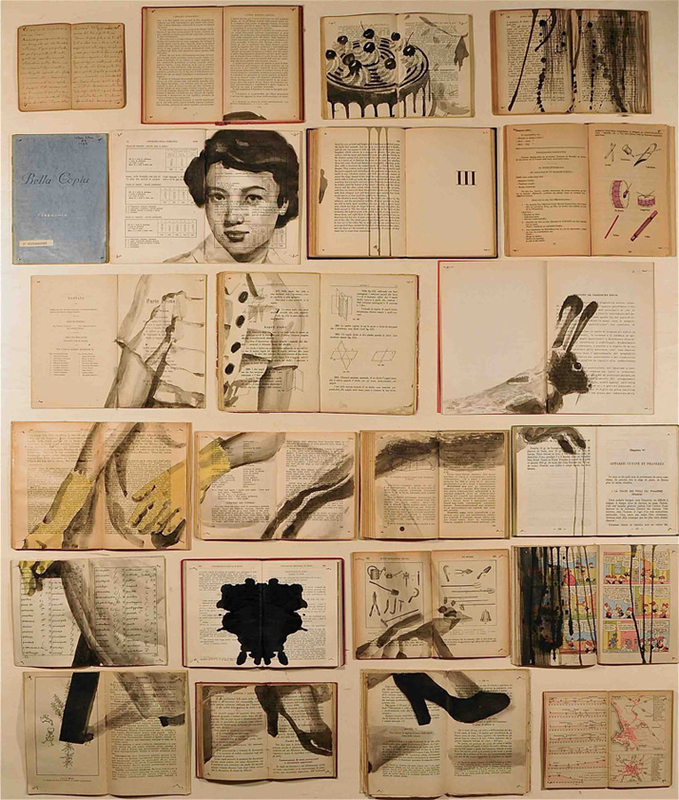 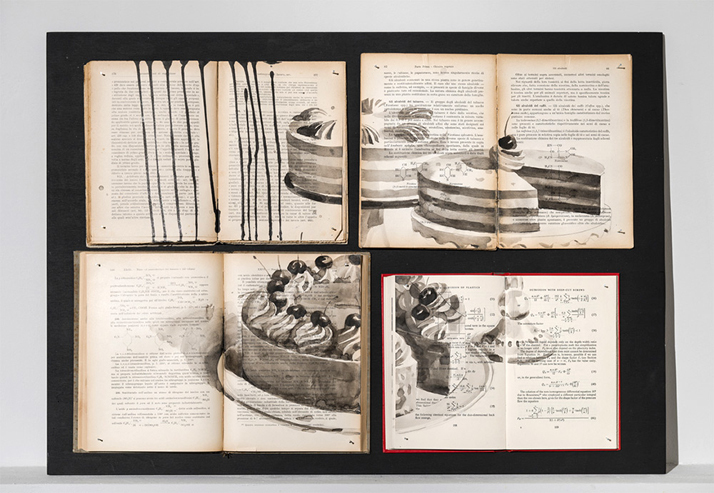 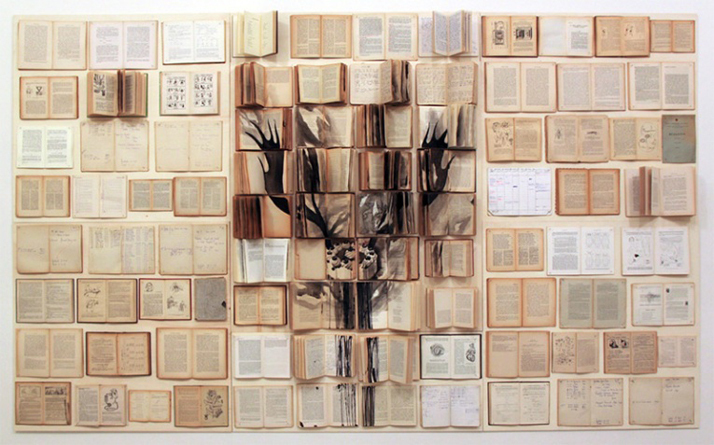 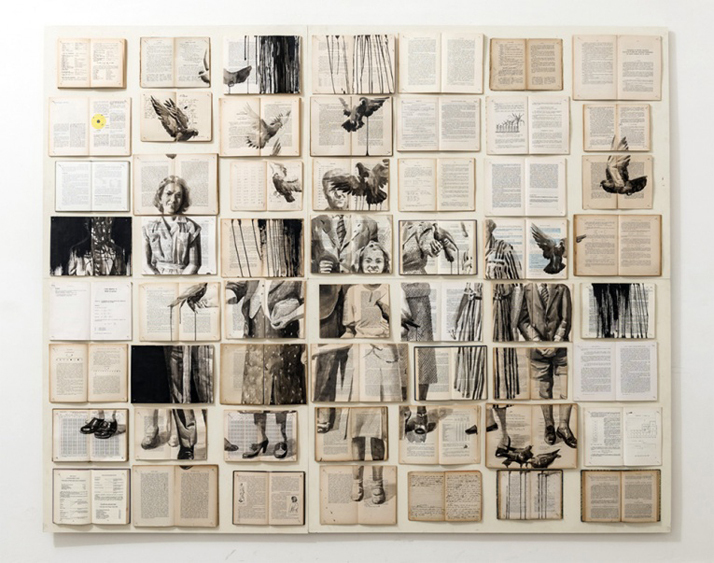 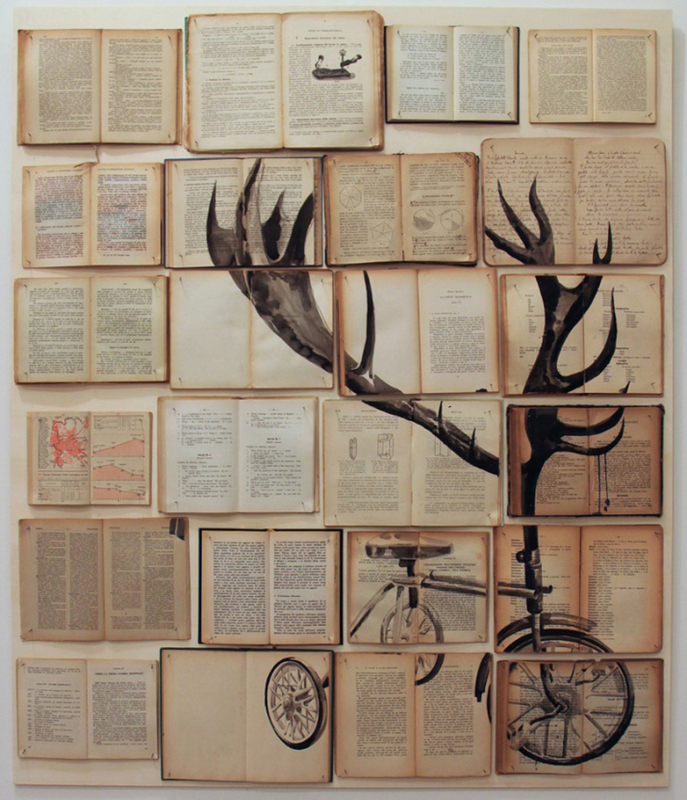 Artist Ekaterina Panikanova creates densely layered paintings across large spreads of old books and other documents, resulting in artwork that blurs the lines between painting, installation and collage. 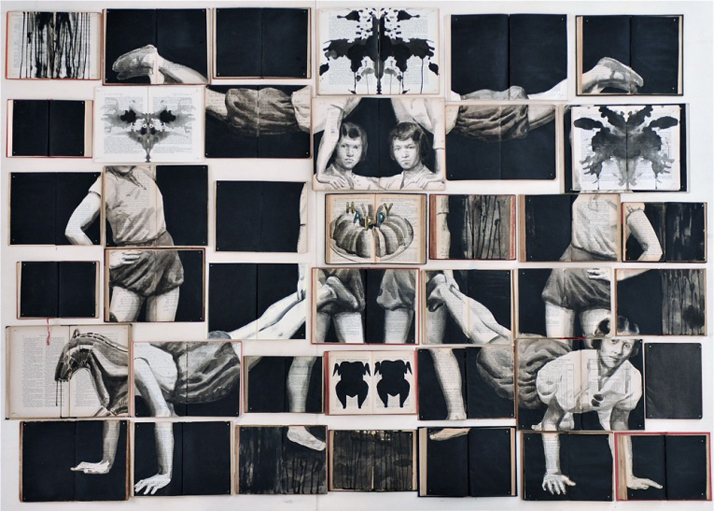 Born in St. Petersburg in 1975 Panikanova graduated at the top of her class from the Academy of Fine Arts and was subsequently given a studio to work from for five years. 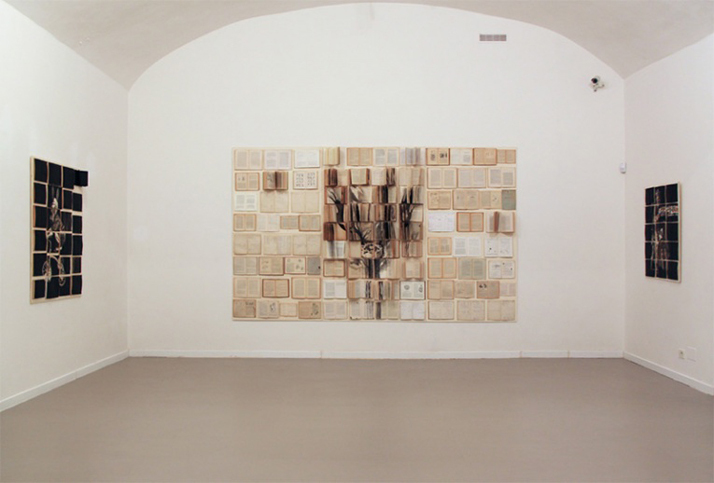 She now lives and works in Rome.